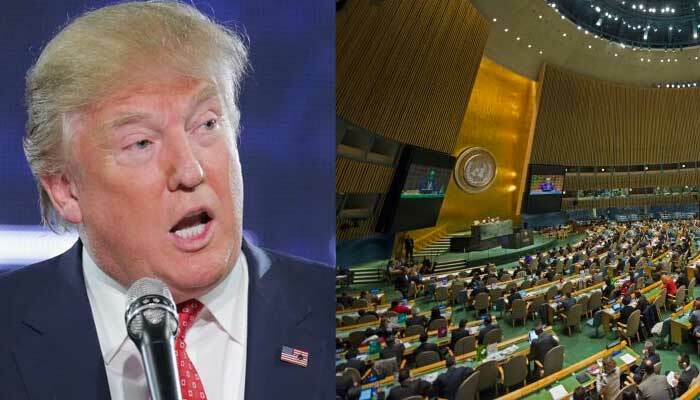 In an incoherent and terrifying speech before the UN, President Trump all but declared war on North Korea, all but pulled out of the Iran nuclear deal, and all but destroyed the universal aspirations of the United Nations by doubling down on national sovereignty in a global society. 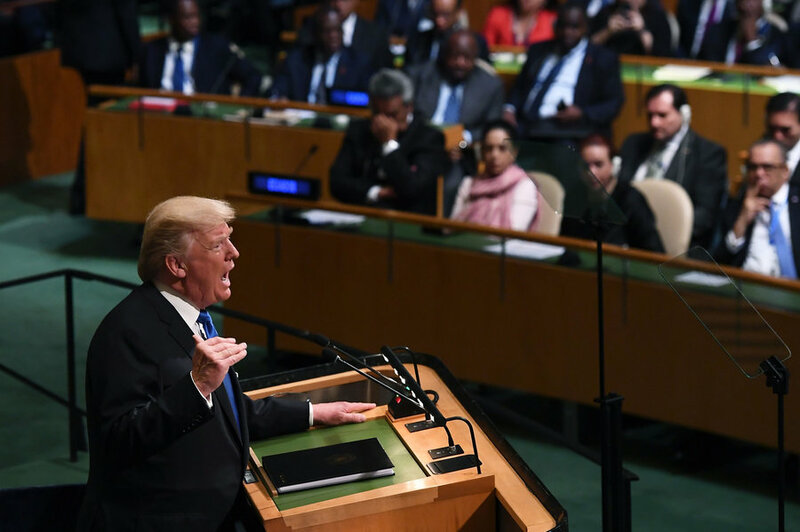 Today Donald J. Trump used the UN as a podium for declaring his plan to “completely destroy” a backward, repressive country. He is threatening to bring the full force of the obscene military power of the United States on a totally propagandized people. If that isn’t evil, I don’t know what evil is. As decent people across the political spectrum in the United States agree, Trump is a narcissistic, unhinged and incompetent president. Yet his administration is taking the attitude that America is still calling the shots in the United Nations, and that the United States is still the undisputed leader of the world. In truth, Donald Trump made the United States irrelevant to world peace and the human prospect today. I have never felt so ashamed to be an American. It’s one thing to have such a small, self-serving and malignant man as president of the United States; it’s another to have him spit in the face of world peace, even as he cynically speaks of world peace. United Nations,” Trump beat the drums of war in front of the UN ambassadors from around the world at this year’s General Assembly gathering. The hubris of it was astounding, perhaps “like the world has never seen,” to use one of Trump’s favorite phrases. The idea of saner, more reasonable and mature minds containing this madman was eviscerated over the weekend by Trump’s UN ambassador Nikki Haley, and his National Security Advisor, General H.R. McMaster. They were trotted out before the press corps on Friday, and on news shows over the weekend, echoing Trump. “If North Korea keeps on with this reckless behavior, if the United States has to defend itself or defend its allies in any way, North Korea will be destroyed,” Haley said. “This regime is so close now to threatening the United States and others with a nuclear weapon that we really have to move with a great deal of urgency on sanctions, on diplomacy and on preparing a military option,” McMaster reverberated. What does the Trump Administration’s hyper-nationalism of “I will defend America’s interests above all else” actually mean? “Rocket man is on a suicide mission for himself and his country,” is what he and his sycophants believe. They mean to provoke Kim Jong-un into war. sharply and painfully to the fore. That contradiction is the defunct principle that he kept reiterating, that “there is no substitute for strong, sovereign, independent nations.” That too is a lie. The illusion that nearly 200 countries, each putting their “sovereign” self-interest ahead of humanity, can be stitched together in a workable way has degenerated into the delusions of Donald Trump. 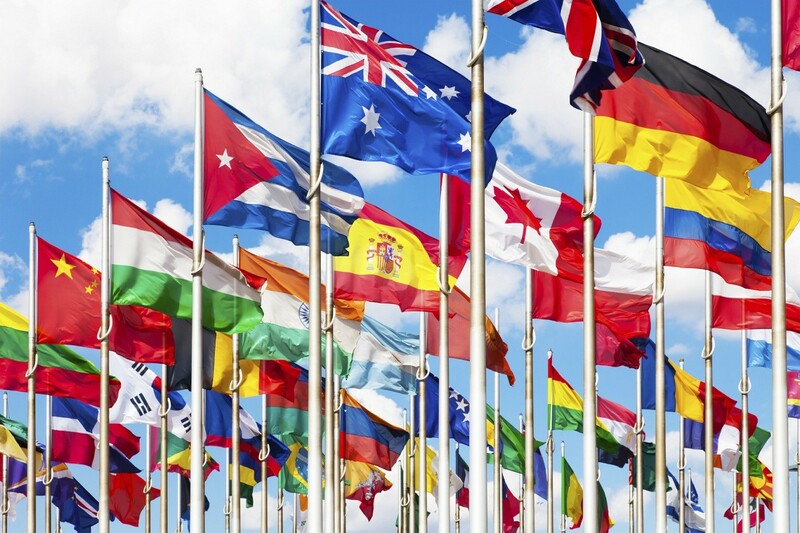 The United Nations represents nation-states, not humanity. However it is the best and only instrument we have for settling differences, addressing common challenges, and preventing another world war. In order for the UN to be genuinely reformed into an institution of limited global governance however, a new, non-power-holding body of great moral suasion has to emerge. Can the foundation be poured for a body embodying the sovereignty of humanity before it’s too late? It is a matter of insight igniting in many people, and a philosophical foundation being poured for a true global order when the present order collapses completely under its dead weight. The insight of groups of individuals thinking together is not a matter of people “working things out in advance,” but adequately responding to the present crisis. The use of nuclear weapons again will shock people all over the world into realizing that the existing order has failed entirely. But living, awakening people have to act now, inwardly and outwardly. You cannot stand on the sidelines as an observer and have things both ways. It’s either move toward the light of insight through self-knowing, or go with the excremental flow of darkness. Costa Rica Investigating Nicolas Maduro?